Soaring…..and more newsy news !” Heaven on Tswalu – earth” . As every time after a WGC has finished, some of the best pilots are invited to South Africa for the Helli Lasch event. As I told you earlier ,Mac was one of them and he wrote an article about it, which I am allowed to share. The Great pictures accompanying the story are from his wife Akemi, who flew JS 3 too. THANK YOU BOTH !!! “South African friends organized 8th Helli Lasch Challenge (HLC) at Tswalu, about 100km west of Kuruman near Kalahari desert. This special event is by invitation to the selected top World’s pilots only. 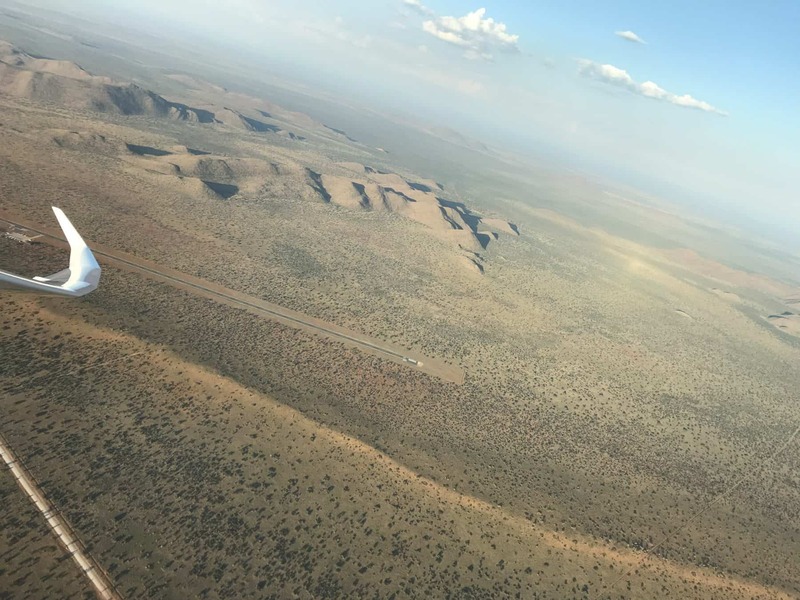 I had never flown in this part of South Africa before, (we did not go to this area during the WGC 2001 in Mafikeng) so was very excited to go. 7 South African team pilots were invited: Laurens & Oscar Goudriaan, Attie & Uys Jonker, Nico Le Roux, Dolf Pretorius, AP Kotze. Additionally, following 5 international pilots were invited. Katrin Senne, Louis Bouderlique, Killian Walbrou, Peter Szabo and myself. We were asked to give a speech of about 30 minutes on various topics of competition gliding, in the mornings. “Super Team Captain” Carol Clifford was busy organizing everything, Martin Lessle from Douglas Soaring Center was the key person on the operation side of things and Rowan Hill was busy towing us all up in the Cessna from Potch. Altogether we transported 3 JS1, 3 JS3, ASG32Mi, DuoDiscus T, Ventus 2cT, Janus, and ASH25 to Tswalu from different locations of South Africa. Andy set us tasks every day from Sunday 25 Feb to Saturday 3 March. Task length varied from 218 km in the blue to 433 km with Cu and showers, and a few AAT’s were added to the menu towards the end of the week. The start was normally Grand Prix start. It was an extremely high-level racing environment, and we all learned from each other. It was great FUN! 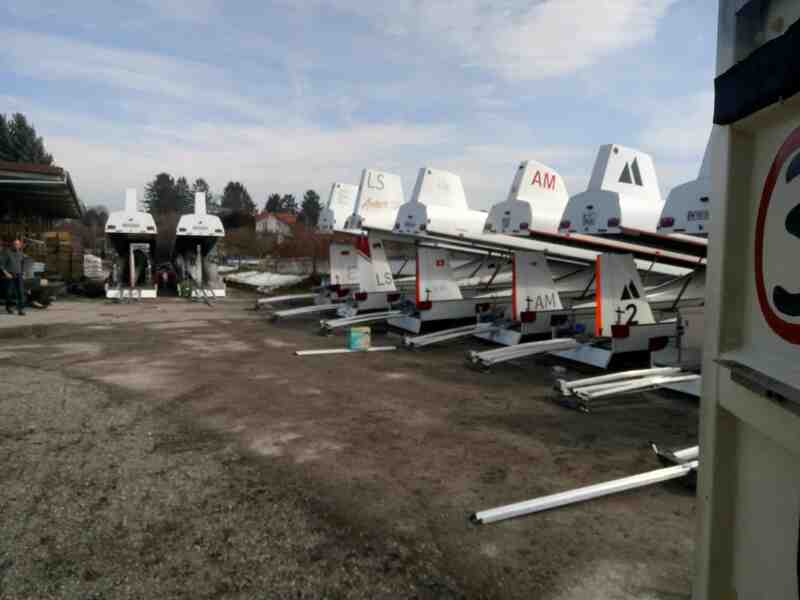 Everyone getting gliders ready together in the morning. and …after [Mac’s] landing. 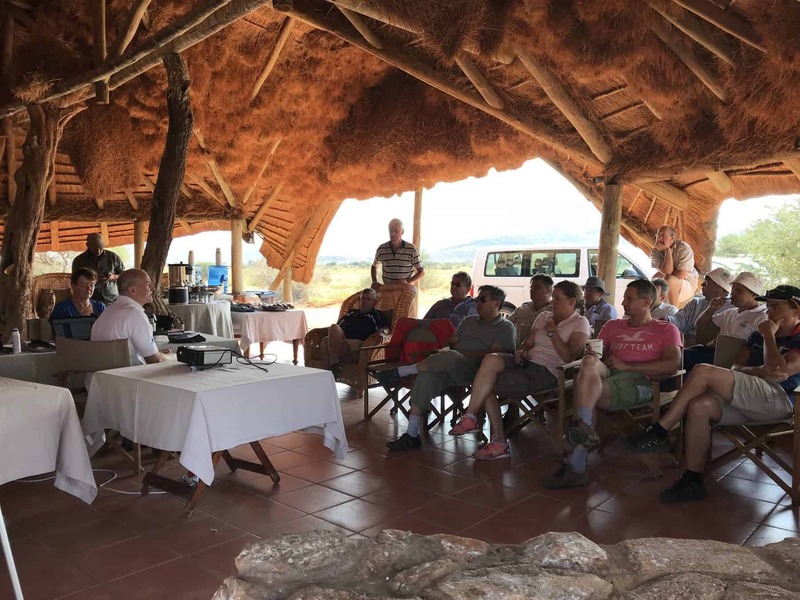 The evenings were busy with a sundowner and game drives and special dinners (We were even invited one evening to the new residence of the Oppenheimers!). Some people went to game drives starting 5am or so in the morning! So we never had enough time!! It was a week of gliding paradise. I must confess that we felt all the hard work of Benalla WGC (which was mostly weak blue and lots of gaggles) was more than rewarded by this fantastic week. Thank you Mac, [he was runner up at the last WGC in Benalla !] for sharing your thoughts with most of us who will NEVER be there. Now we have at least a bit of an idea!! 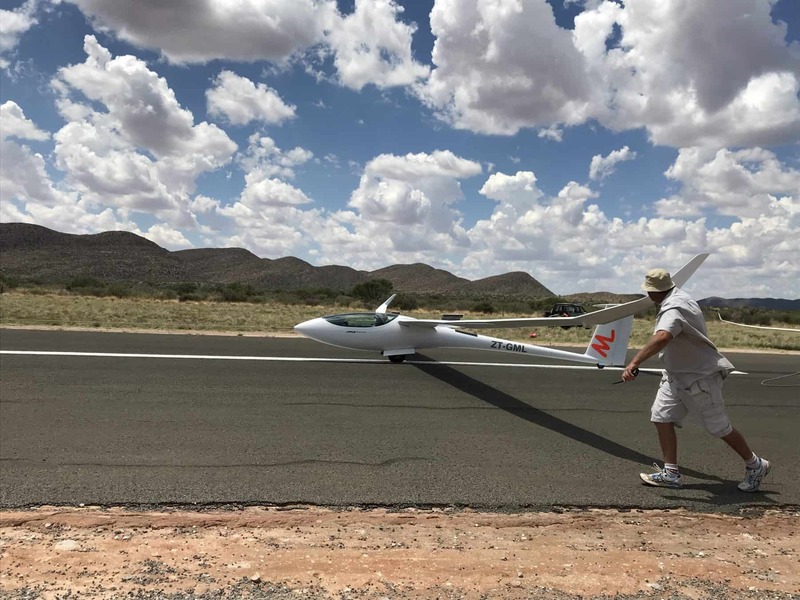 According to Uys from Jonker Sailplanes ,Katrin Senne was the very first woman to fly their JS 3. I hope so too!! !She loved it….fantastic!! !Her first cross country flight , years ago, she was 17 then, was in a Club Libelle and the handling of the JS 3 with the “small and high wing’s” like a Libelle was easy and she flew the glider with a smile from ear to ear, she said to Uys. —–Seminole Lake Gliderport; As every year the “oldies” [with much respect !!! ] fly their competition and more and more toppers from the recent past, but also from the far past, participate . The far -past as in Doug Jacobs and Karl Striedeck and from Canada Ed Hollestelle with a Dutch background. It ‘s a feast of recognition !!! And there is still fire in these pilots, as some only go “for the win”. 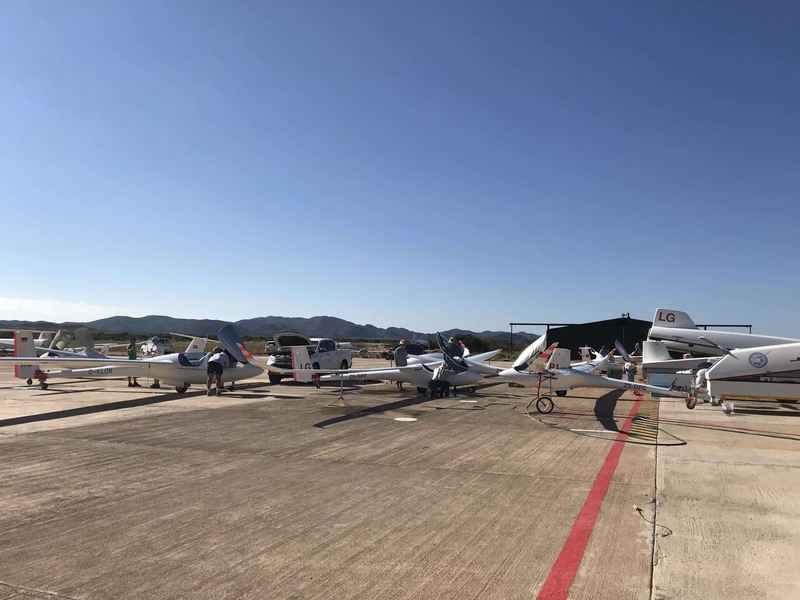 60 Eager entrants [ the max for this competition] and 25 of them are flying the more modern motorized glider, even with jet engines !! Task 1 was cancelled due to the weather after launch. So till now March 13 they only flew one day won by the SSA chairman Ken Sorensen, [15 m. Ventus 2 cxa] who was the 2012 CD at Uvalde. Fernando was runner up in his ASW 27. They continue till March 16 so more next week. —–Stonefield in South-Australia, about 110 km. North East of Adelaide as well of course as North East of Gawler and South West of Waikirie, is a for most of us , relative “young” airfield [ with an elevation of 350 m. MSL] and home of the Adelaide University Gliding Club. 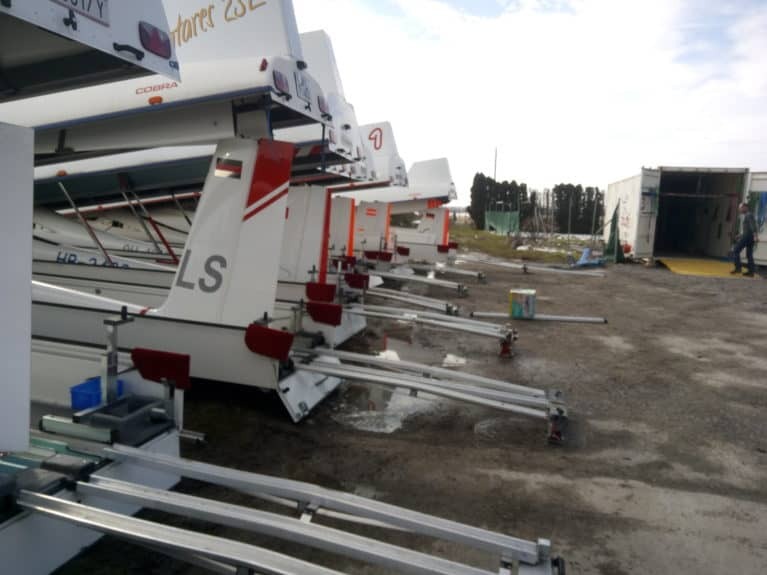 Konrad Maierhofen from Germany started a few years ago his own operation there; Fly Down Under. Not a lot of good landing-spots in this pretty rural/remote area, but serious fun when you “cross” along the hills. Last week Konrad flew in the NIMBUS 4d with Aussie Leigh Stokes during a nice “ride” over 622 km. they even “visited the beach” from high up in the air. On Thursday they did it again now with 708 km. They nearly topped the OLC list that Wednesday, as the ASH 31/21 m.with James Cooper, flying from Cunderdin in Western Australia flew a 778 FAI triangle [ extended to a total of 824 km. ]up to over 3000 m. MSL . ——Aussie Adam Woolley, I got to know, when he was still a very active junior. He even worked a few months for us at Sportavia as tuggie, but left when he got a job-offer. Nowadays he is an Airline pilot based in Japan and he has the best contract ever!!! He can take off when he wants to “soar” instead of flying intercontinental. Now he has time off for 7 months!!! So you can follow all his actions in his blog. Before he left ,he flew from Kingaroy together with his mate Jim Crowhurst and another mate Mark Chambers, made this great “bye-bye-Australia- ” picture. 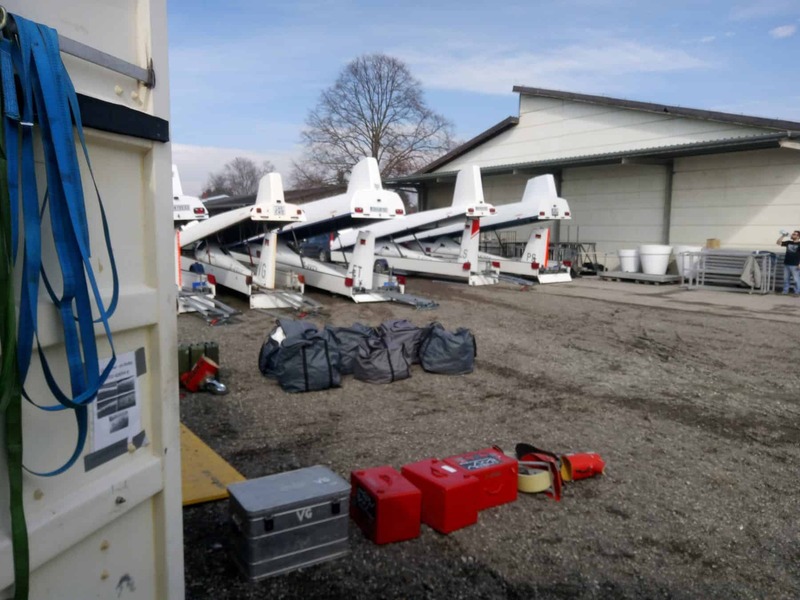 ——-Gliders from Kiripotib arrived safely in Austria. Lucky the weather was sunny to unpack as a day earlier there was still 10 cm. snow I read. So after a great successful overseas winter ,the season can start here now. hopefully as good and as successful. As shared by Kiripotib Soaring. ———-Another 2 great wave flights by the Perlan Project pilots. 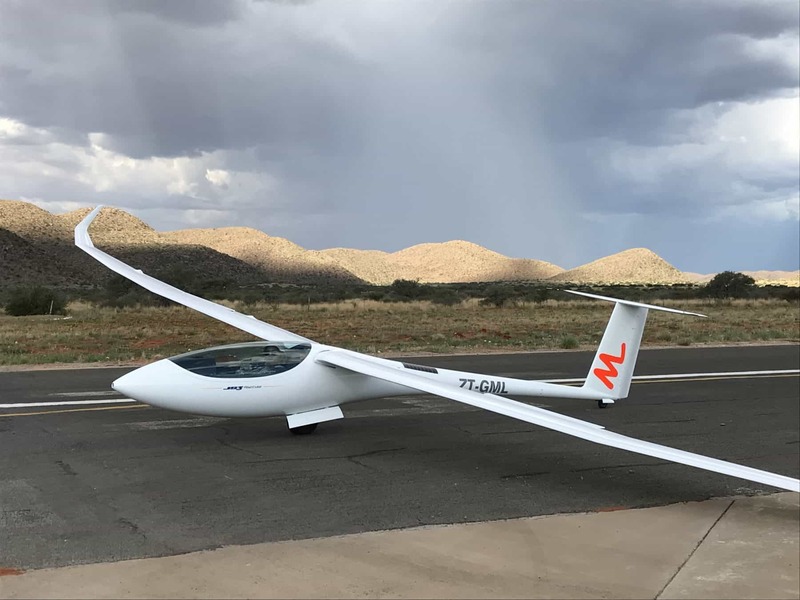 2 Gliders this time and flying from Minden [Nevada] with Dennis and Tim Gardner in the ARCUS J [156 km./h.] and Jim and Alan Coombs in the ASH 25 [ 170 km./h] ; distances…..1.760.22 km. and 1.681,47. 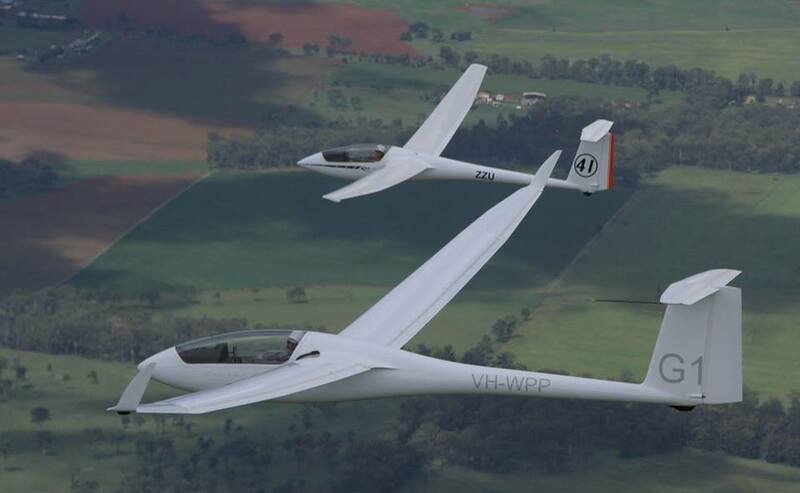 Aussie pilots Morgan and guest Matthew Scutter [Junior World Champion in Narromine at the 9th FAI JWGC] flew a shorter run over 540 km. but with with a speedy-speed of 170 km./h in the ARCUS J. Guess the fastest flight for young Matthew, who lives his life to the fullest. Talking to the guests at the Reno SSA conference a couple of day’s ago and now visiting good old Minden. Later he travels to Europe again. 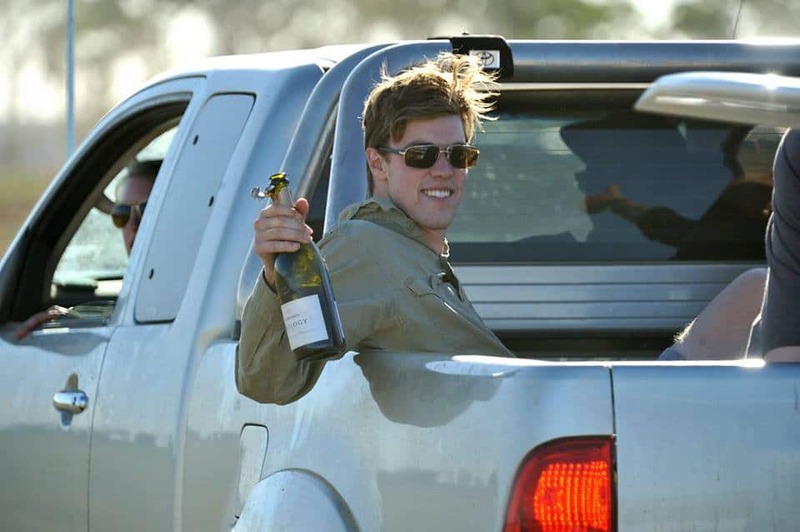 Matthew in Narromine after winning the JWGC in 2015. There are 10 nominees in total. –—–Remember Brad Edwards? An Aussie who won the 1991 Uvalde WGC in Texas. Great guy, and playing then nearly every evening the guitar , surrounded by many who loved the relaxing music as well. Just read in the “Armidale Express” , that his business, Edwards Aviation, saves lives !!! Brad was in the buss-business before. He bought the Citizen Jet from Mr Terry Snow , bought more jet’s and started private flights. NOW he is doing organ retrievals and helps to save lives !!!!! Of course I would say !!!! They transport transports livers, lungs, kidneys, “nearly everything these days” and work together with St Vincents Hospital or Westmead [in Sydney]. Fabulous job , as said I know [ already for many years ] Brad as a lovely guy!!! And to finish 2 very great pictures from Roy Pentecost, who flew with us at Sportavia in the past with some of his Lasham mates as Patrick and David . 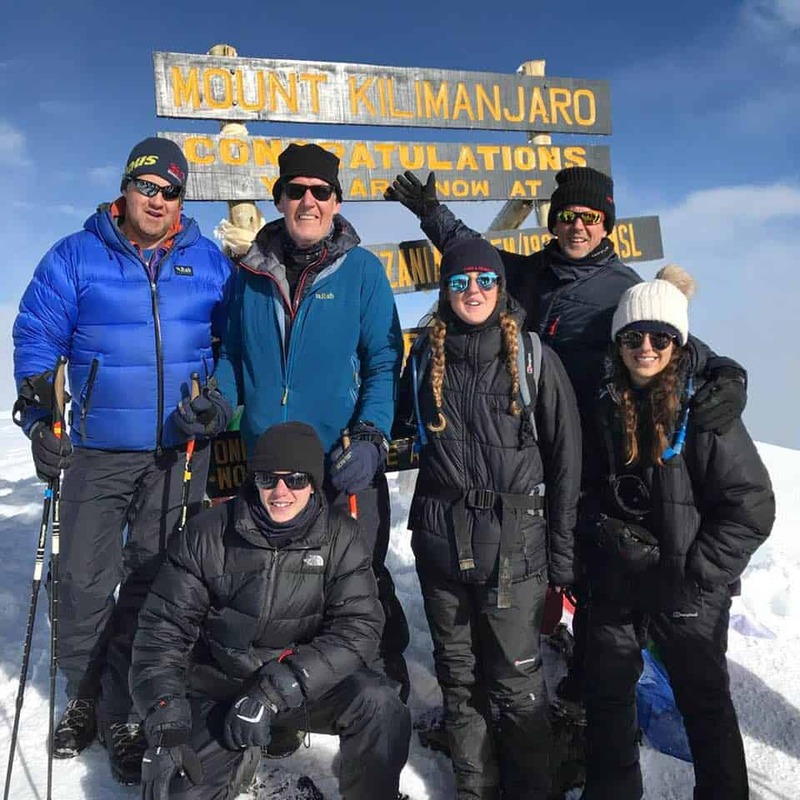 As shared by Roy,who just stood on the Roof of Africa, around 0815 Thurs 8 March accompanied by my Nordic Walking friends Steve Ellis, Dave Myers and Dave’s delightful children, Charlotte, Lily & Ben. Hardest thing I have ever done, climbed 1200m in 7.5 hours, mostly in the dark. Could not have done it without the fantastic guides and porters, who carried my rucksack from the mid-point and kept us motivated with some fantastic singing. The 4 hour walk down to Base Camp was nearly as tough with lots of snow. 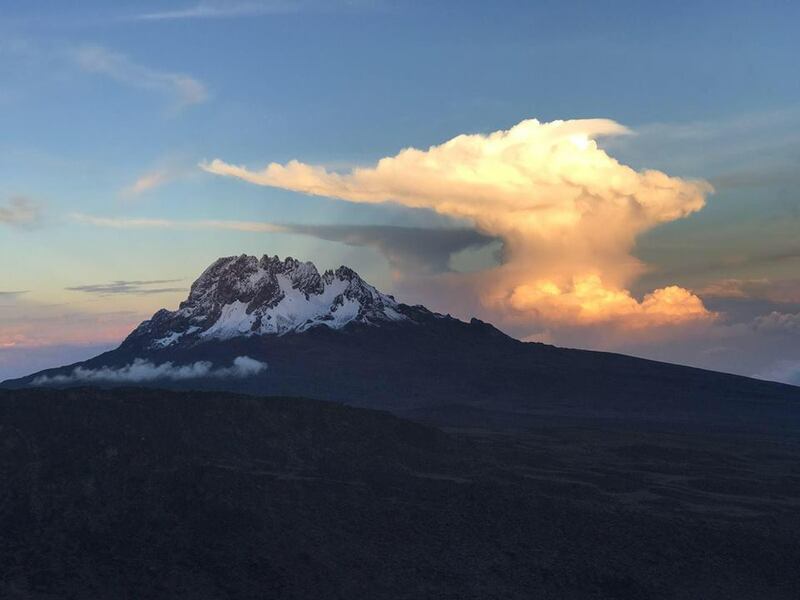 Kili weather is also challenging, from blue sky at the summit to heavy continuous hail for the last hour of the descent. As shared by Roy second left above. AND,.……..R.I.P Professor Stephen Hawking. A truly inspirational man, died at age 76 !!!!! !